Main Street has been a prominent thoroughfare since the city plan was laid out at the turn of the 19th century. As early as the 1830s, omnibuses and horse-car lines were offering public transportation along the artery, and by the 20th century, automobiles and electric trolleys were sharing the road. 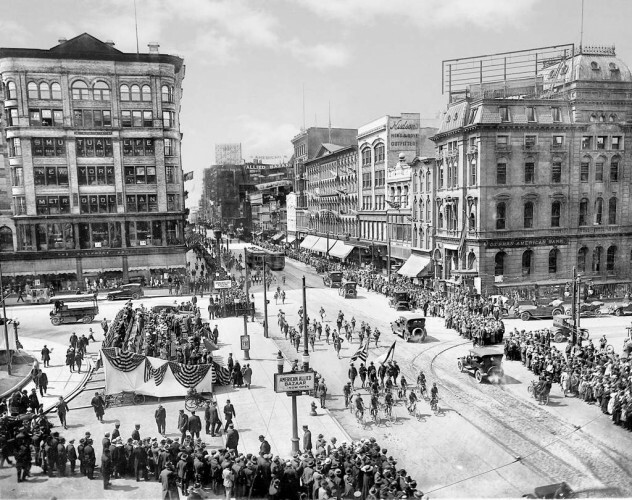 As downtown?s central vein, it was used as the route for many of the city?s civic and cultural parades.